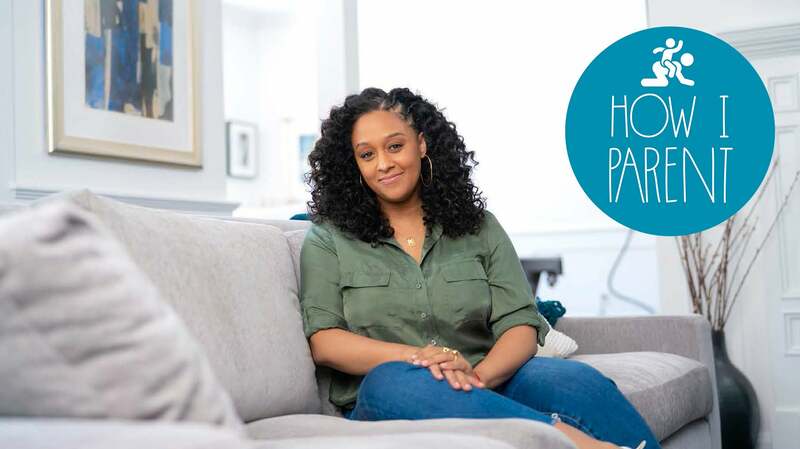 Tia Mowry is an actress who is widely known for her role as Tia Landry in the 1990s sitcom Sister, Sister. She will be staring in an upcoming Netflix series, Family Reunion, as well as a Hallmark Channel Christmas movie, A Gingerbread Romance. Tia has also partnered with the Talking Peanut Allergy campaign to increase awareness about the challenges of living with a peanut allergy. Name: Tia Mowry Location: Los Angeles Job: Actress Family: Her husband, Cory, their 7-year-old son, Cree, and 6-month-old daughter, Cairo. Most people recognise me as Tia from Sister, Sister, and while that may have ended years ago, I have been keeping busy since! I’ve continued to work as an actress, but I’ve also gotten married and started a family of my own. My husband, Cory, and I are parents to two beautiful children, Cree and Cairo. Having just welcomed my first daughter Cairo a few months ago, there is a never a boring day in my house. However, what many people don’t know about me is that my son, Cree, was diagnosed with a peanut allergy at the age of three. How did you discover the allergy and how has the diagnosis changed the way you parent? Following a snack one evening, I noticed Cree had hives all over him, so we rushed him to the hospital where they said it was an allergic reaction. After a visit to our allergist, I was shocked to learn he was diagnosed with a peanut allergy. The allergist told me that this is very serious and that we had to avoid exposure to peanuts with Cree and carry an epinephrine auto-injector. From that moment on, I knew our family dynamic was going to change. I’ve had to change meals and snacks we make at home. My main thing is I don’t want my son to feel alone or different. Avoidance is difficult because a lot of things are made with trace amounts of peanuts. What are some of the routines you go through to make sure Cree stays peanut-free? For children with peanut allergies and their families, the allergy is never out of sight or out of mind. Especially when you are outside of your household, such as at school, playdates and restaurants. It’s important to know that we all play a role as “co-protectors” in being vigilant to prevent accidental exposure. For example, we enrolled Cree in a nut-free school, and we constantly make sure we communicate with co-protectors as needed. 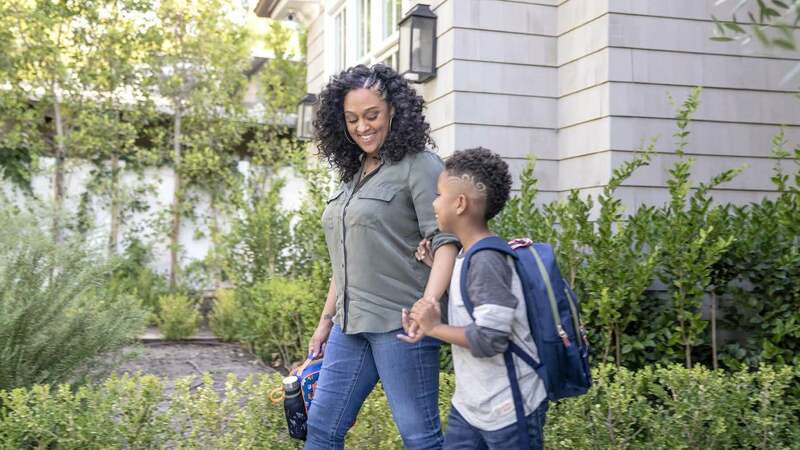 It is so important to practice vigilance and prevention by educating yourself, your child and the community about your child’s peanut allergy—including teachers, bus drivers, etc. It all comes down to empowering yourself and, in turn, empowering your child to be knowledgeable about what is safe for them to eat. Yes! I feel like whatever opportunity I take, it has to be worth it in order for me to be away from my children. If my children can watch it later on in the future and enjoy it/learn from it/have fun watching it, it’s definitely the job for me! Do you involve your kids in your work? Yes, I do. At first I was a little hesitant in regards to wanting to protect them. But at the end of the day, this is who I am and this is my career, so I would feel like a hypocrite if I wasn’t exposing them to the good things that come with my job and entertainment. Cree jumped up and down when he appeared on my Quick Fix series. He also comes to the taping of my new Netflix show and just loves it! Yoga and a nice, hot bubble bath with candles and music. I want my kids to learn to follow your dreams. You can do whatever you put your mind to! Follow your happiness and be yourself. While my family and I have found ways to manage Cree’s peanut allergy with vigilant avoidance, we never stop worrying about the potential of him being accidentally exposed to peanuts. We’ve felt judged by others at a restaurant and questions come up at school all the time. What people need to know is that being a parent with a child living with peanut allergy is serious and stressful. Avoidance can be very difficult, because even trace amounts of peanut may trigger a potentially severe, life-threatening reaction. Also, there have been times when Cree has felt different or had kids ask questions about why he can’t have certain things. I would say that if you are a parent of a child without a peanut allergy that it is important to educate your child that he/she plays a role in protecting their classmates with peanut allergy and to let them know that it is not something to laugh at or make fun of. It has stuck with me for years. In order for you to be a good anything, whether it’s as a spouse, parent or friend, you have to take care of yourself. After being together for nearly 20 years, it’s a team effort at the end of the day! If Cory is home, he will put Cree to bed, and if dishes need to be washed, he will wash them. We take turns making sure everything gets done. I start with consolidating all of my work emails from the day. Then, I put Cree to bed. I make sure he is showered and tucked in with some cute pjs. Then I read him a book as he falls asleep. With my daughter, Cairo, it’s the same routine. I make sure she is bathed, all snuggled up in her pjs, and then I rock her to sleep. My day always feels complete when I know my children are in bed and resting.